Join the Lewis University Library in celebrating GLBT Book Month! In 2015, the American Library Association, in coordination with the Office of Diversity, Literacy, and Outreach Services and the Gay, Lesbian, Bisexual, and Transgender Round Table, officially established June as GLBT Book Month. GLBT Book Month is a celebration of authors and writings that reflect the lives and experiences of the gay, lesbian, bisexual, and transgender community. ALA also recognizes notable GLBT books via its Stonewall Book Awards, the first award for GLBT literature, as well as the Rainbow Books and Over the Rainbow Books lists. 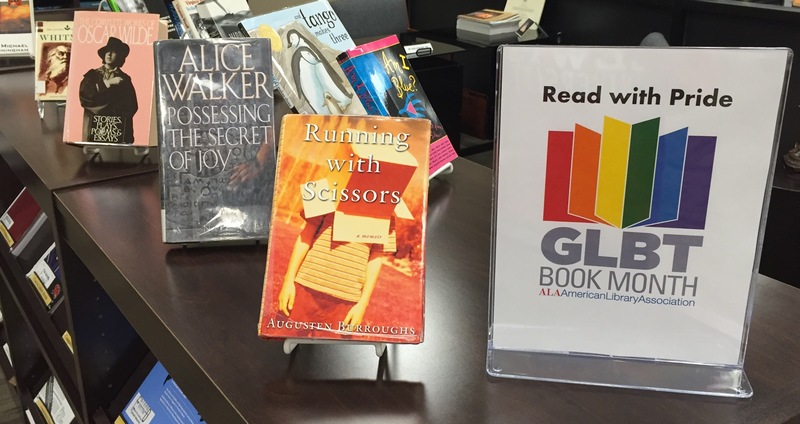 Now, hundreds of libraries across the nation are celebrating GLBT Book Month, including ours! 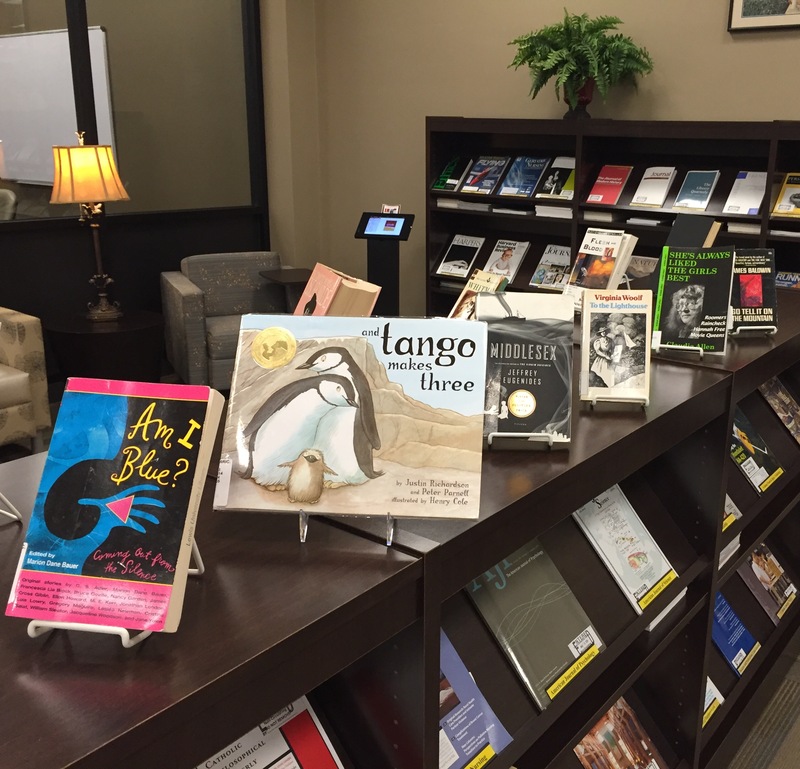 The works of authors such as Oscar Wilde, Augusten Burroughs, and Marion Dane Bauer are on display in the Periodical section of the Library throughout the month of June. Books in our GBLT Book Month display are available for check out, so stop by today and read with pride.